The Grail Maiden – New eBook Available! Elisha Barber hits the bookshelves! I would also appreciate your reviews and ratings on Amazon, Barnes & Noble, Goodreads, or anyplace you feel it’s appropriate to share. I am grateful for all the support I have received from my friends and family, my commentators and followers here on the blog and on other sites. I hope to see some of you in New York tonight at the New York Review of Science Fiction Reading series, featuring myself and Kate Elliott! Reading starts at 7 pm at the SoHo Gallery of Digital Art. Looking for other readings and events? Consider becoming a Disciple of the Dark Apostle–you’ll get a free short story download, and an occasional newsletter with more information about appearances, freebies and fiction online and off. The thrilling conclusion to the Dark Apostle Series is here! 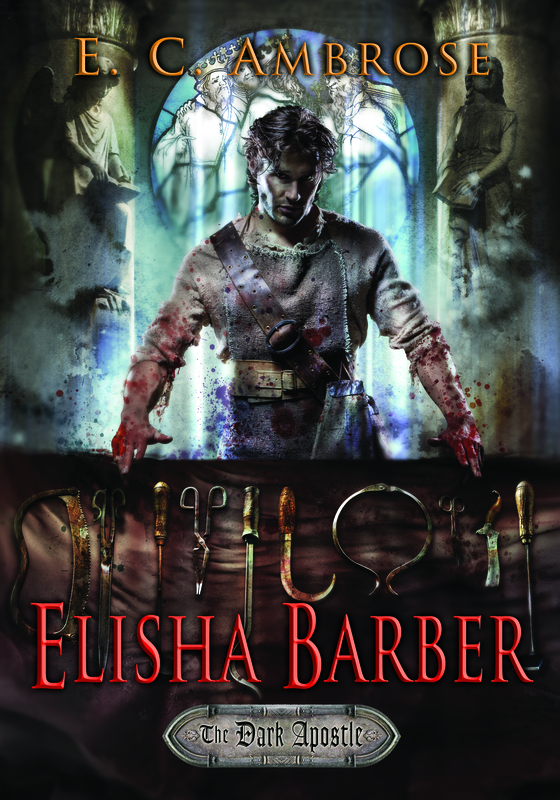 Buy Elisha Daemon, the fifth and final book in the series today! Get all the latest updates and news about The Dark Apostle series. Join the Disciples of the Dark Apostle mailing list! Join our mailing list and become a Disciple of the Dark Apostle. Mailing list members receive free giveaways and advanced notice about E.C. Ambrose news, events and book signings. The mailing list is private and will not be shared.